Cordless Drill Drivers are one of the handiest power tools on the market currently and they all provide different drilling experiences for their users. Drill Drivers are versatile and can do anything from drilling holes in thick timber to screwing in some of the longest screws in thick density materials. If you are currently looking for a drill driver that can provide you with a good all-round experience and last a long time, have a look at the following three drills and the features they provide their users. 20 torque settings – With 20 different torque, drill, and impact settings you can be sure you are going to have the right setting for whatever the application. Whether you are using the drill driver as a wrench or a screwdriver, you can be sure you are going to have the right torque behind it to get the job done. Keyless chuck – Changing bits is done with ease thanks to the keyless chuck and you will be able to do it quickly so you can carry on getting on with what is important. Lithium-Ion battery – The integration of a lithium-ion battery provides a much longer lasting battery charge and one that can provide plenty of power in such a small and compact drill. Multiple accessories – Consumers are presented with a nice carry case to help transport the drill around site easily. The drill also comes with the battery and a one hour charge so you can be sure you are getting a product that can be charged without waiting too long. Lightweight – This drill is very lightweight and only weighs 2.8kg so you can be sure any overhead work is easy and not energy draining. This Bosch Drill Driver is very compact and lightweight and has all the features you need to get your drilling jobs done quicker. It comes with a variety of features and along with the one hour charging adaptor it provides makes this product excellent value for money and its competitors find it really tough to compete with. Keyless chuck – The keyless chuck ensures users are able to change drill bits quickly without the use of additional tools. Simply turning the chuck will allow the users to tighten or loosen specific drill bits. 24 torque settings – This drill provides 24 different torque settings so you know you are going to have a torque setting to suit every application. Spring loaded battery pack – The battery packs are very easy to attach and release thanks to the spring loaded system that this drill provides. Very lightweight – This product is very lightweight and compact and only weighs 2kg which means users are comfortable and in full control during any application. Buying this cordless drill just because it’s Black & Decker alone should be enough reason to add this to your toolbox but if that isn’t enough then the many features it provides all in a compact and lightweight design should be. There aren’t many other drills on the market that can compete with this drills features and compact design especially at the price tag this drill goes for. If you are looking for a reliable drill that can be used on a daily basis with no problems you should definitely consider adding this drill to your toolbox. Turbocharged – This drill is turbocharged and with the already powerful 18V motor you can be sure of a quick and powerful experience. 16 torque settings – You will find the 16 different torque settings are very handy for easy and hard jobs it may have to undertake. 1 year guarantee – A fantastic 1 year guarantee ensures users are confident in knowing their product is going to last and if it doesn’t it will be replaced or repaired. Ergonomic design – This product was ergonomically designed to ensure users are in full control and are comfortable during any application. In conclusion the Terratek 18V Cordless Drill Driver offers everything users need for a powerful drilling experience that is going to get jobs done quickly. If you are currently on the lookout for a top quality cordless drill then you should definitely consider the Terratek 18V Cordless Drill Driver thanks to all of the features it offers its users. 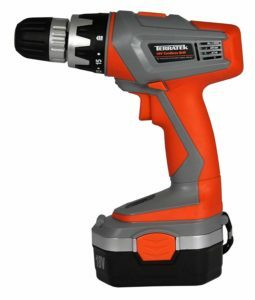 The Terratek 18V Cordless Drill is very affordable and offers users a great drilling experience. 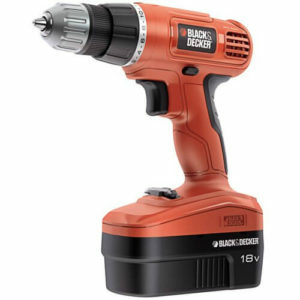 The same goes for the Black & Decker EPC18CA Cordless Drill and with its lightweight design makes it a strong contender for one of the best drills around. 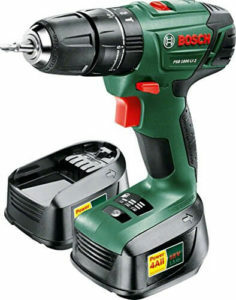 Preference is for the Bosch PSB 1800 Cordless Drill because of all the features it has in a compact and lightweight design. All 3 drills offer users with a powerful drilling experience thanks to their 18 V motor and many features but the Bosch PSB1800 offers users a much better overall experience and users should definitely consider it as their next drill.